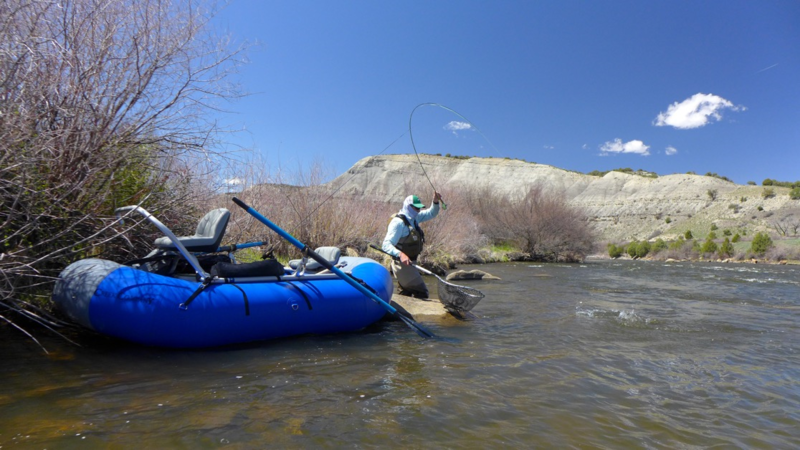 New T.Rex 9.8, 2 person Mini Drifter with Frame, No Oars, No Oarlocks.--The ultimate, commercial grade, 2 person fishing raft! Only 115 lbs and ready to drop in anywhere! No Trailer Required-Fits in the back of the truck or up on the roof rack! Ships for $195 in the lower 48 states. Current color choice solid cobalt blue. Custom NRS 2 person fishing frame with leaning bar, self draining high back fishing seat, low back rowers seat. 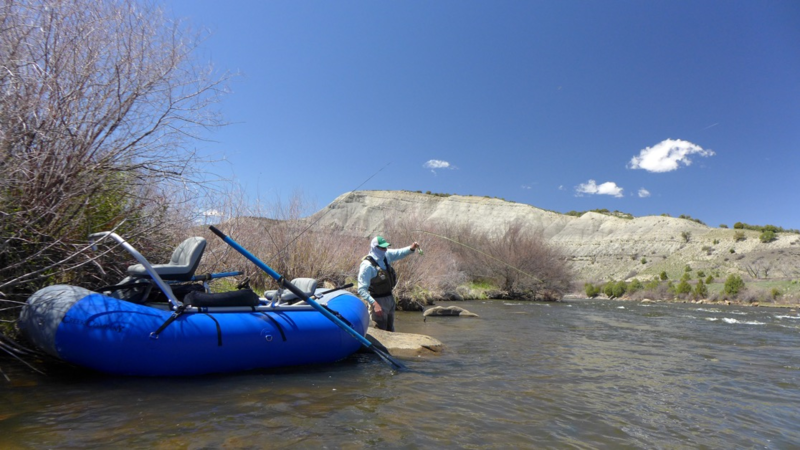 3 year consumer use warranty, 1 year commercial use warranty on the raft. Lifetime warranty on the frame via NRS. Complete Anchor System for the T.Rex 9.8 mini drifter (anchor line and anchor not included)-Included stern rails, cross bar and anchor system. Professional grade anchor deployment. 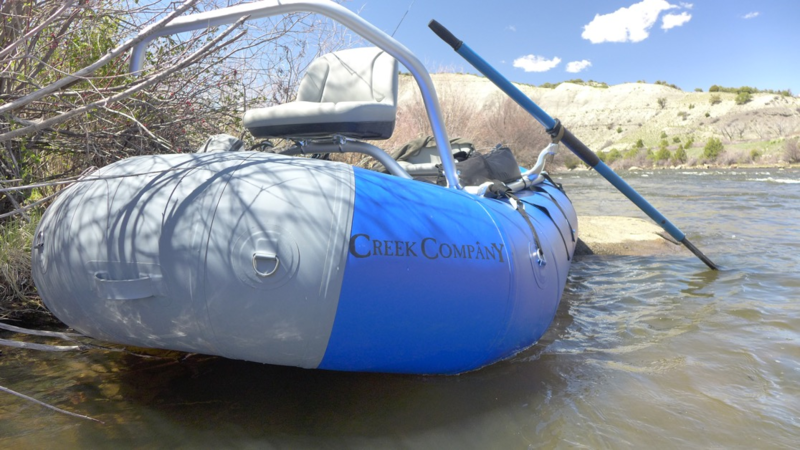 •3 year consumer use warranty, 1 year commercial use warranty on the raft. New T.Rex 9.8, 2 person Mini Drifter!--Just awarded Best of Show at the 2017 International Fly Tackle Dealer Show! 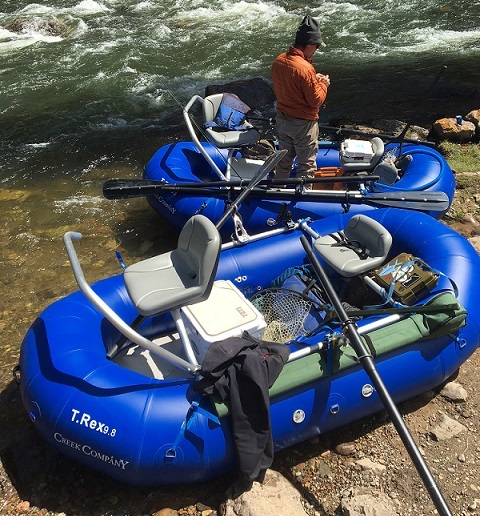 The ultimate, commercial grade, 2 person fishing raft! Only 115 lbs and ready to drop in anywhere! No Trailer Required-Fits in the back of the truck or up on the roof rack! Current color choice solid cobalt blue. 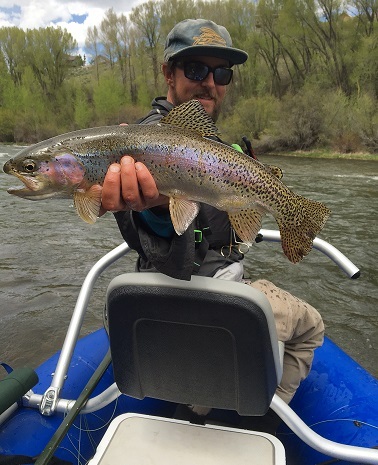 Custom NRS 2 person fishing frame with leaning bar(frame fully breaks down or assembles in minutes, ships anywhere, fits in a small SUV, longest frame part 50"), self draining high back fishing seat, low back rowers seat. 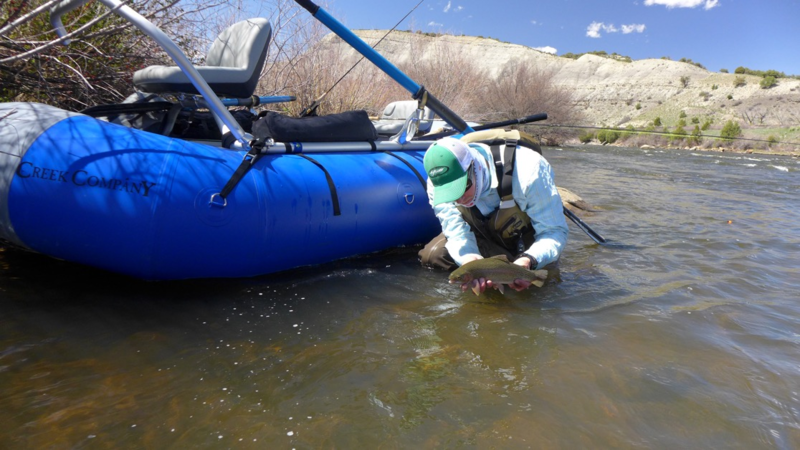 3year consumer use warranty, 1 year commercial use warranty on the raft. Lifetime warranty on the frame via NRS. We do not rate the T.Rex for river class or weight capacity. River class is a function of the rower. Weight capacity is 2 persons of any size plus all their gear with fishing frame, or 4 persons paddling with frame off.